Below is part of a newspaper article from the April 27, 1892, edition of “The Times.”The city officially acquired the cemetery in late 1889 and it wasn’t until 1904-05 that they had enough money to actually landscape it as a park. In-between it was a “hard dirt” lot where children played and garbage and the bodies of dead animals were heaped and burned. In 1902-03 the city allowed the local elementary school to use it as a community garden. (See photo below). What is now known as Weccacoe Park, in quaint old Southwark, was, a few years ago, the old burial ground of Bethel African Methodist Episcopal Church. 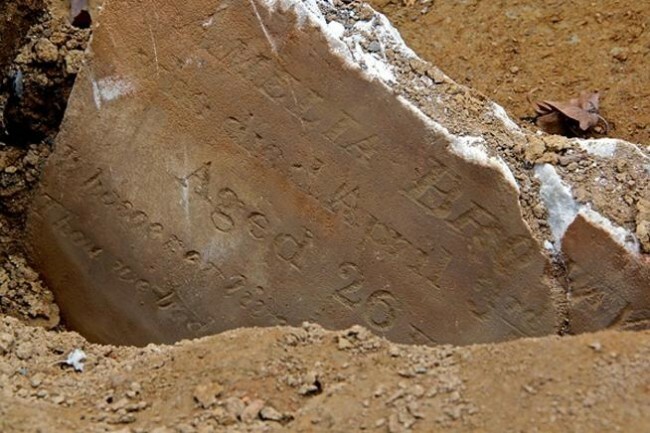 It was back in the early years of the century when Bethel Burying Ground was first used, the property having been secured by Richard Allen, the first African Methodist Episcopal bishop. At that time colored people after death were often treated with but little respect and it was the wish of Bishop Allen to set apart a place where his people could have the same kind of Christian burial as the white people. Just in what way he got the property is not clear but having gained possession of it he made it over to unfortunate results; for when, in succeeding years, the rains beat down upon old Bethel Burying Ground, the water washed the bones of the dead out of their graves and the Board of Health was forced, out of regard for the health of Southwark, to interpose. It has been over twenty-five years now since any burials have taken place in Bethel, and after the Board of Health issued its mandate the ground was neglected and rapidly went to ruin. . . . The committee on municipal government endorsed a recommendation to purchase the plot, and it was in the first batch of small park ordinances passed.